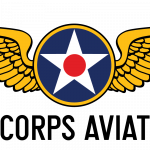 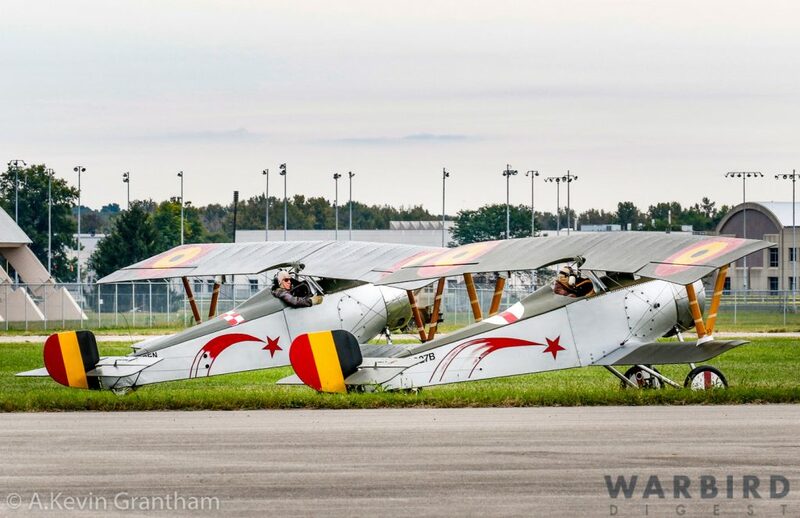 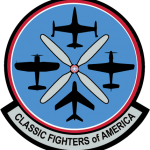 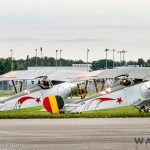 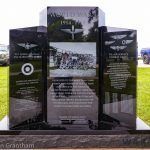 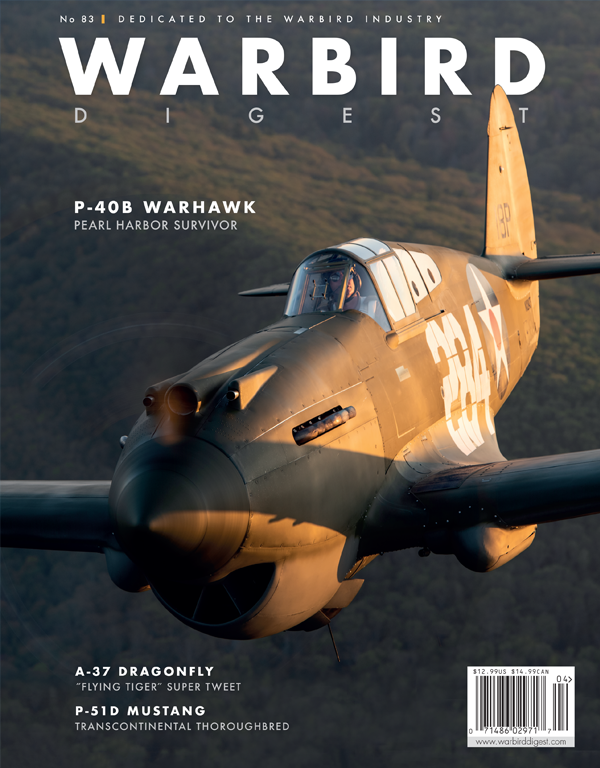 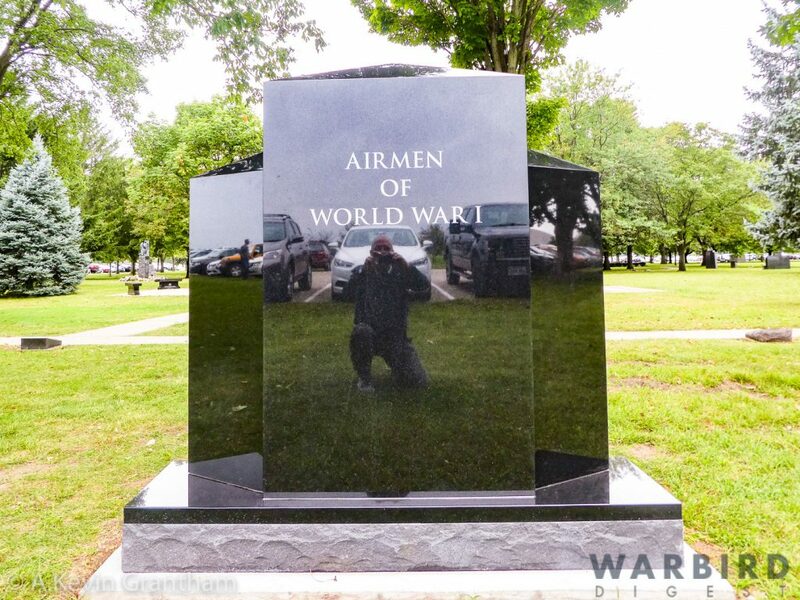 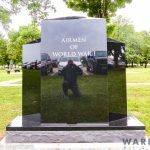 The National Museum of the United States Air Force held their bi-annual Dawn Patrol Rendezvous over the weekend of September 21-23, 2018. 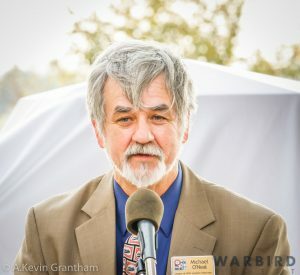 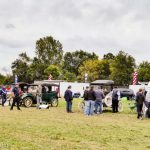 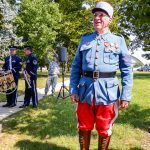 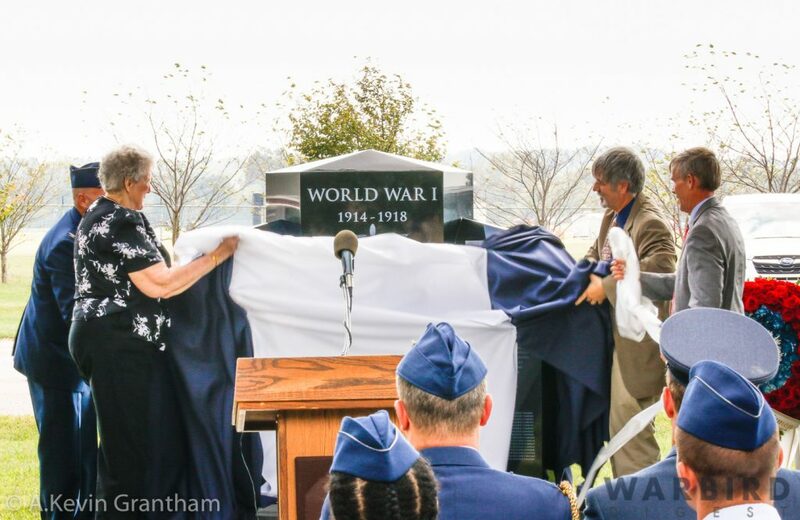 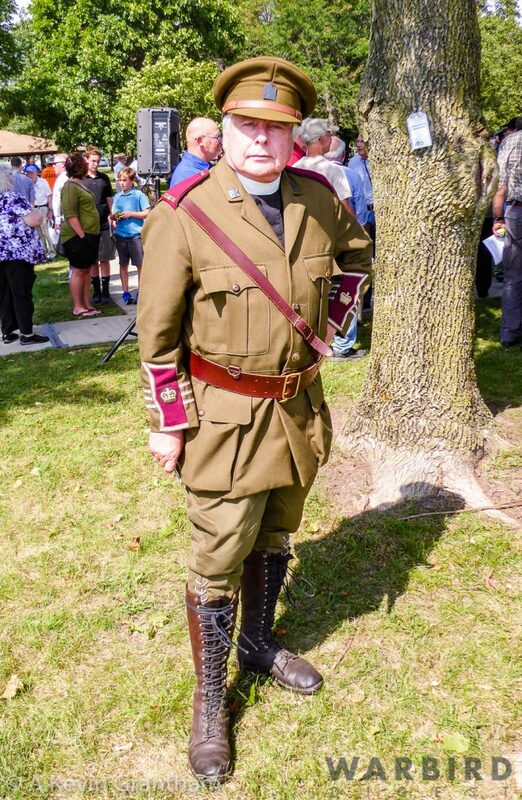 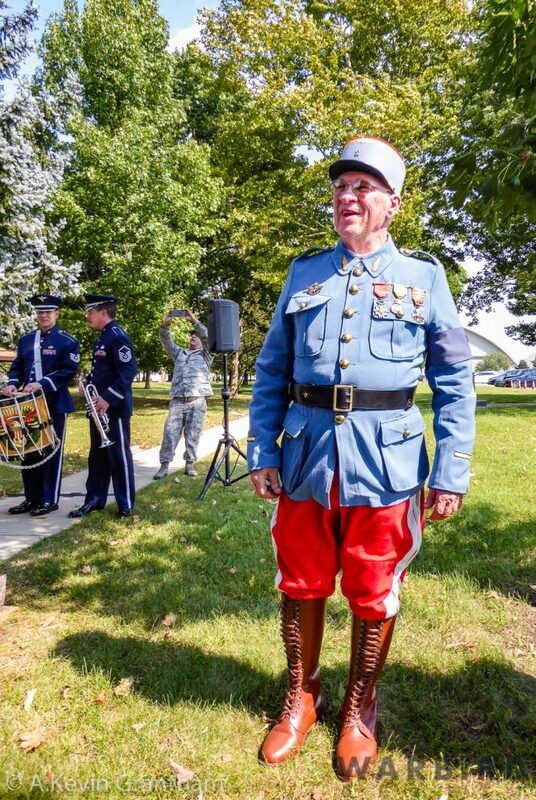 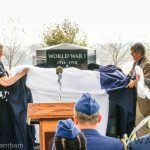 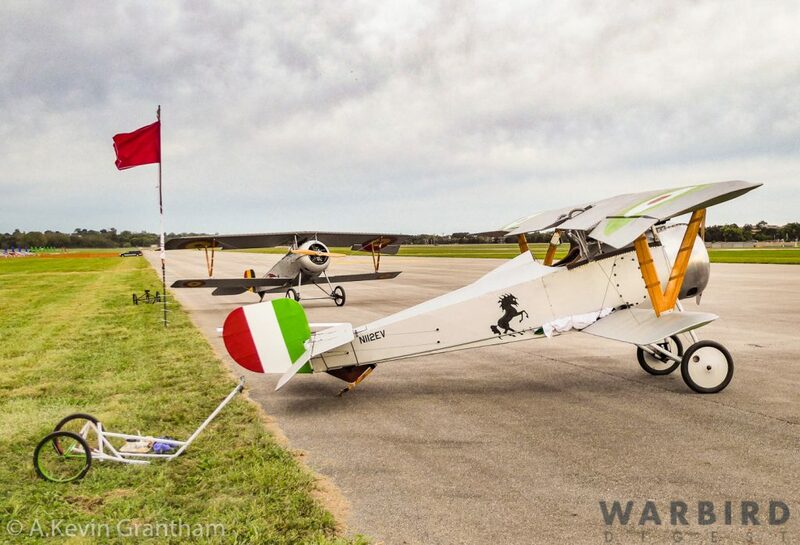 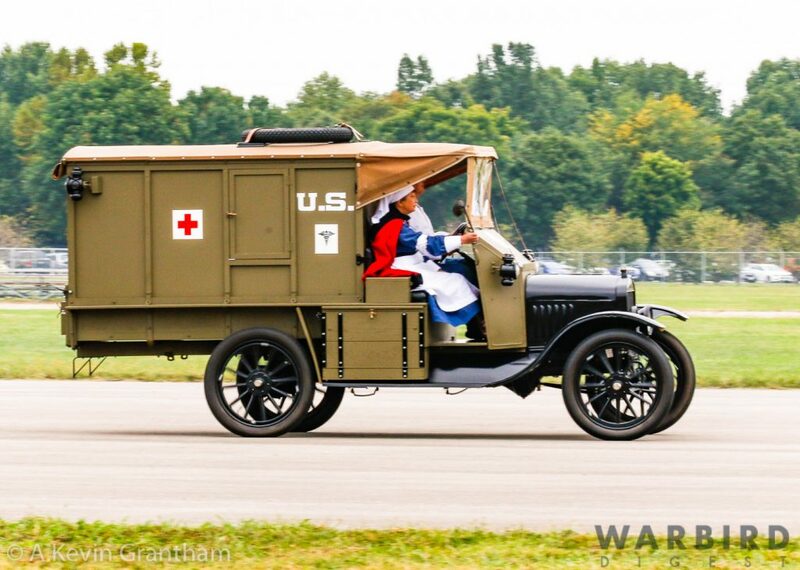 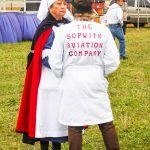 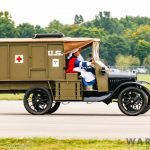 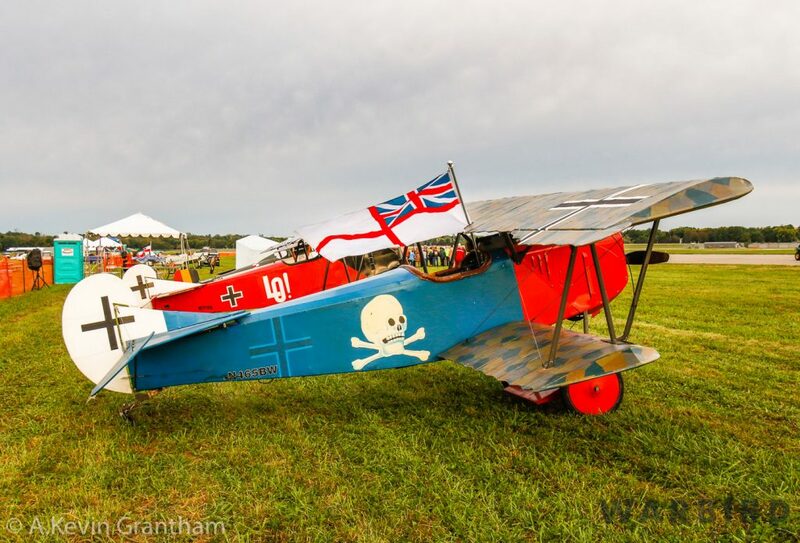 The event focused on commemorating the centennial for the end of World War I with living history impressions, replica aircraft, and vintage cars. 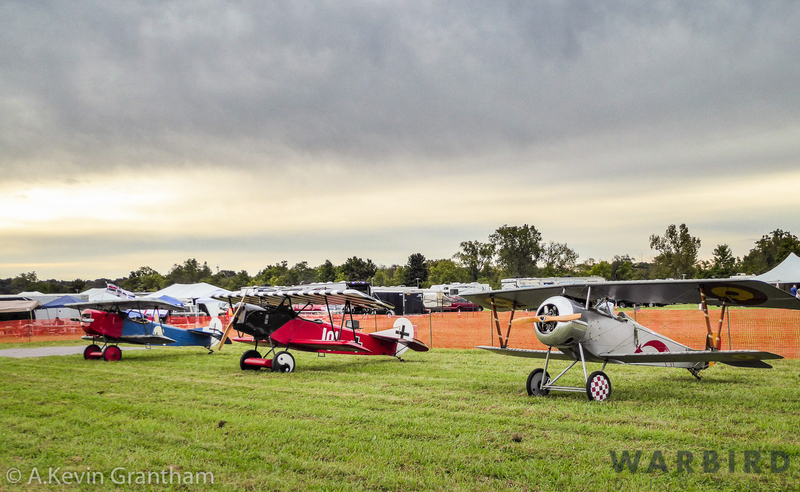 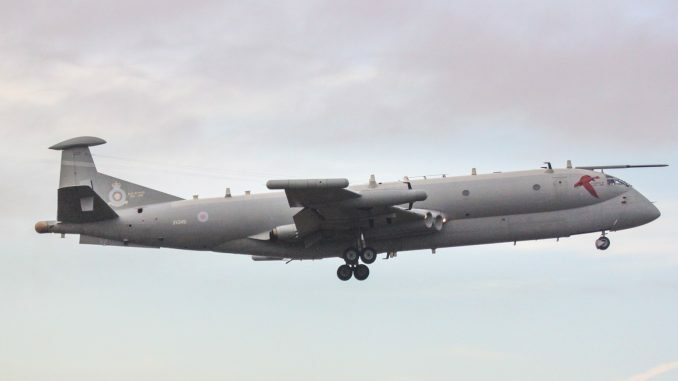 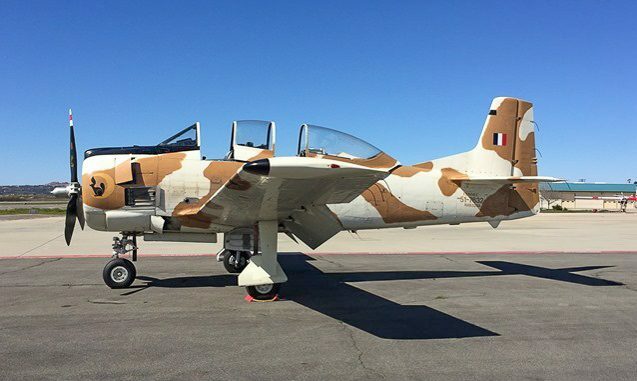 The airshow segment for the Dawn Patrol Rendezvous commenced on Sunday morning at 9:00am. 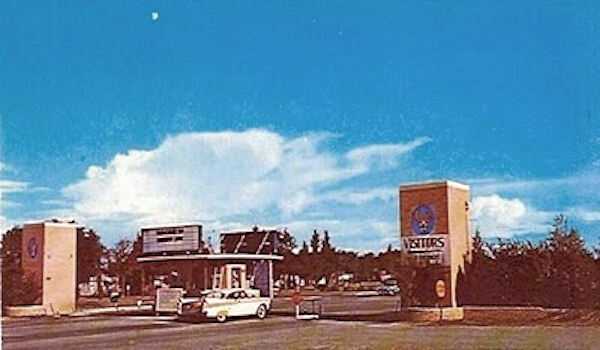 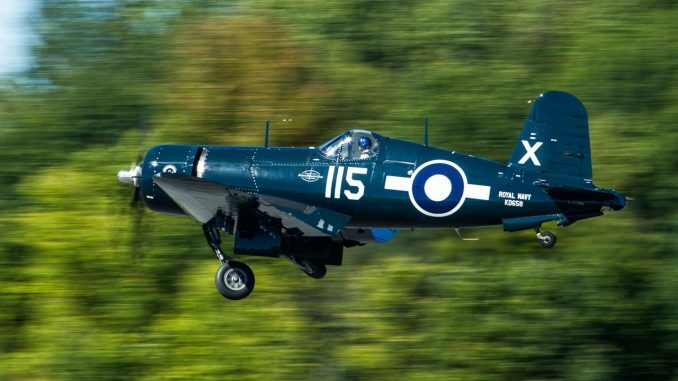 Under cloudy skies with a slight, but chilly northwesterly wind, aircraft began taking to the air for a two-hour demonstration that included dogfighting techniques used during the first global conflict. 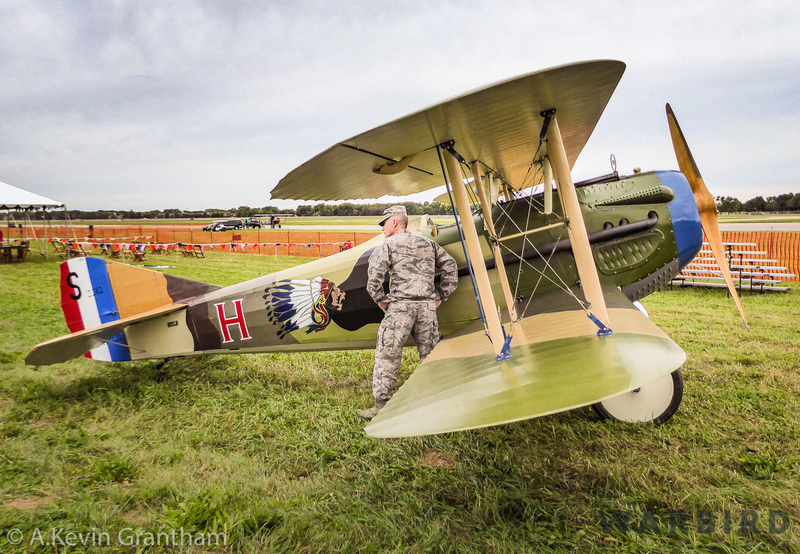 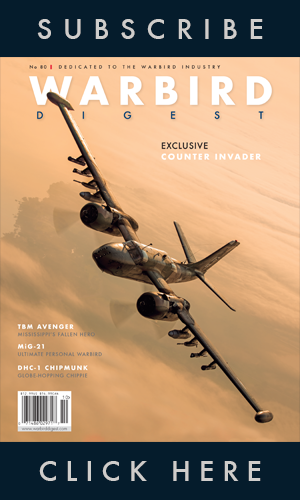 Stephen Skinner, author of The Stand: The Final Flight of Lt. Frank Luke, Jr., narrated the event, pointing out key characteristics for each aircraft while highlighting the pilot as well. 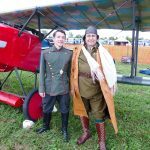 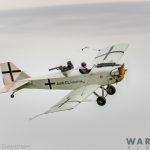 He also interjected interesting historical references on the evolution of aviation, and how this developing technology influenced battle tactics during the 1914-1918 period. 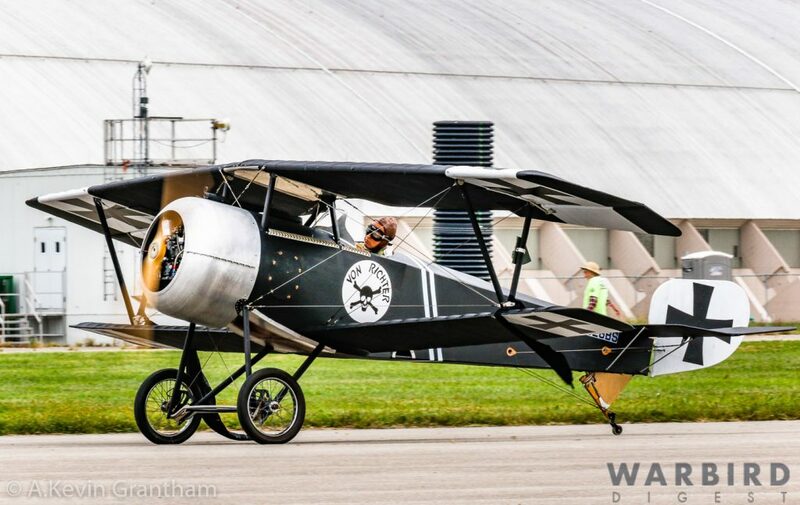 Skinner later brought some of the performing airplanes behind the crowd line so spectators could get a better view of the craft, taking the opportunity to interview the pilot and take questions from the surrounding audience. 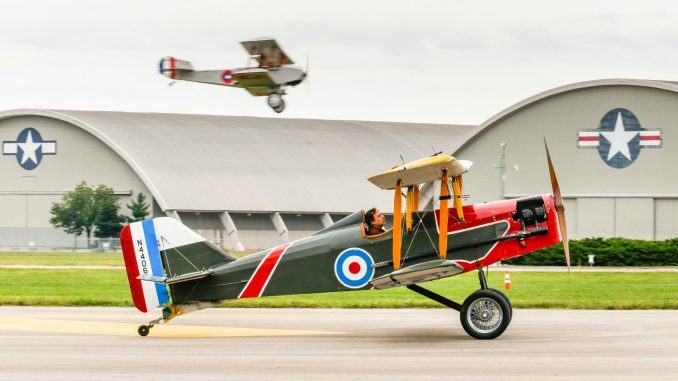 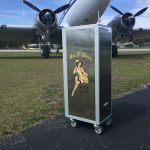 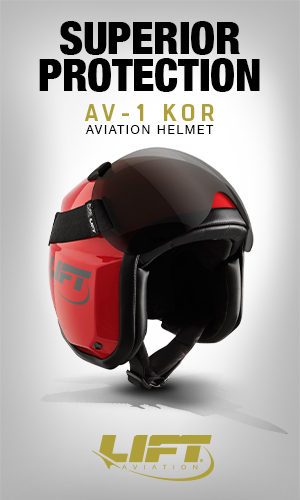 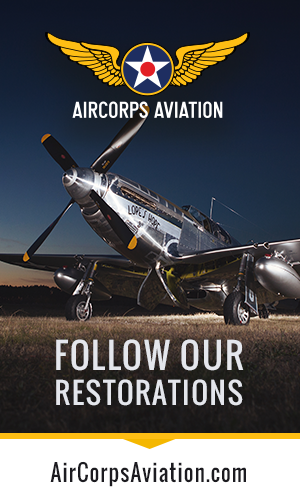 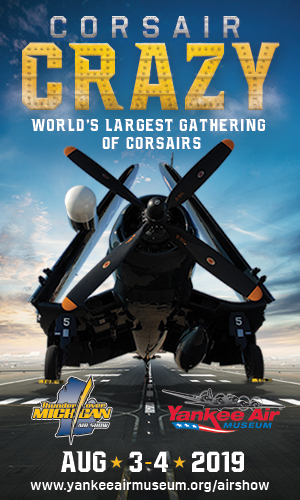 It was a unique way to promote both aviation and history at the same time! 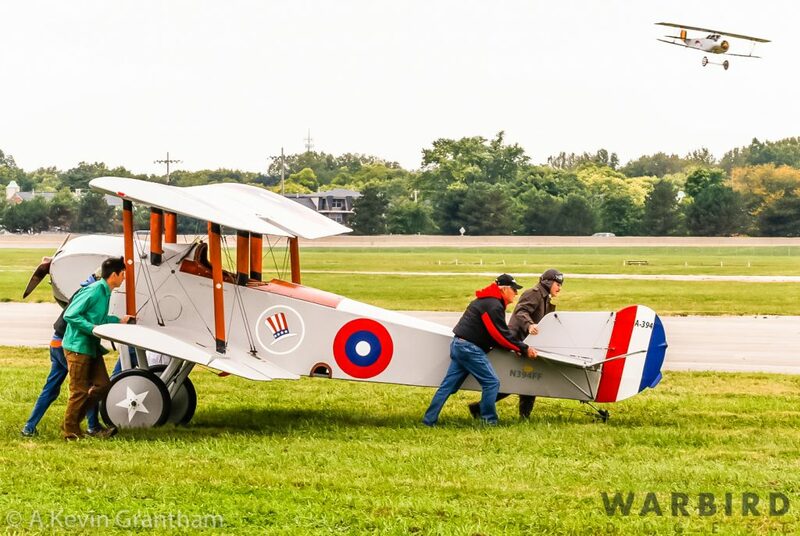 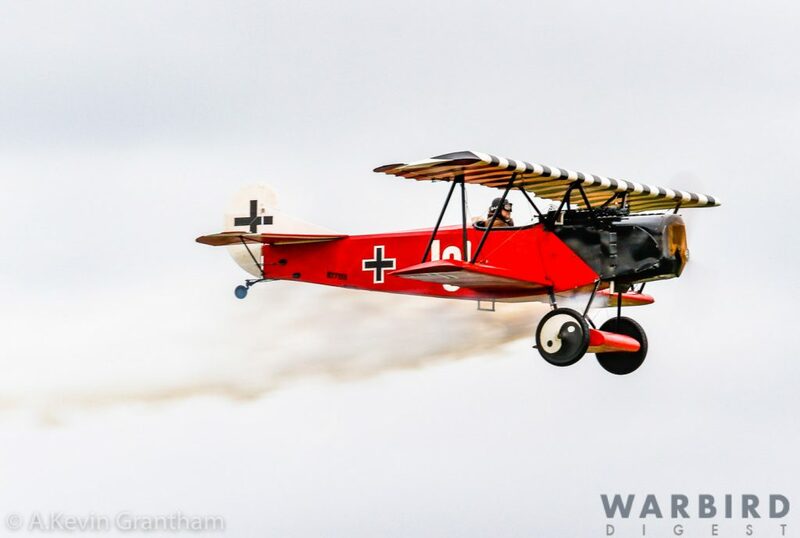 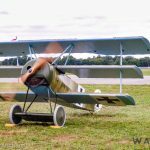 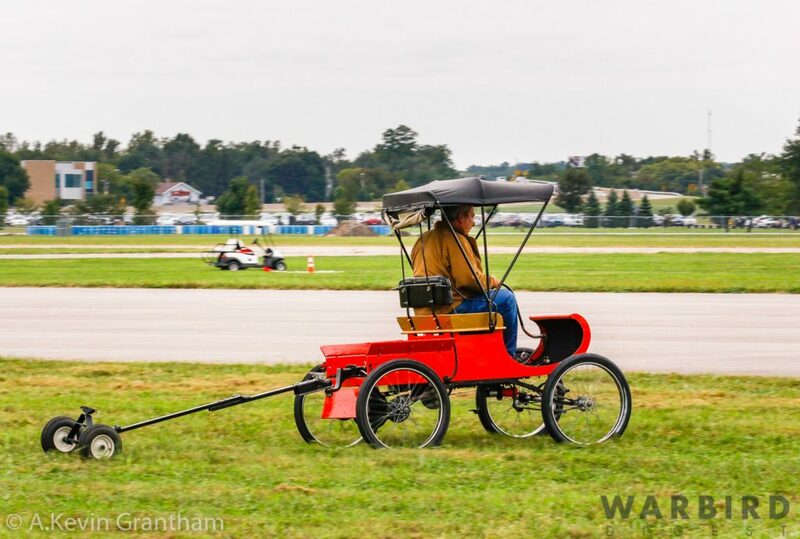 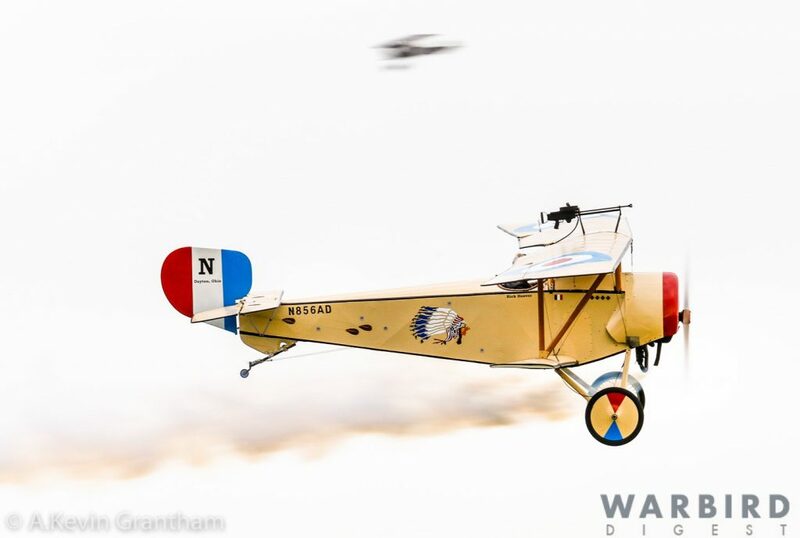 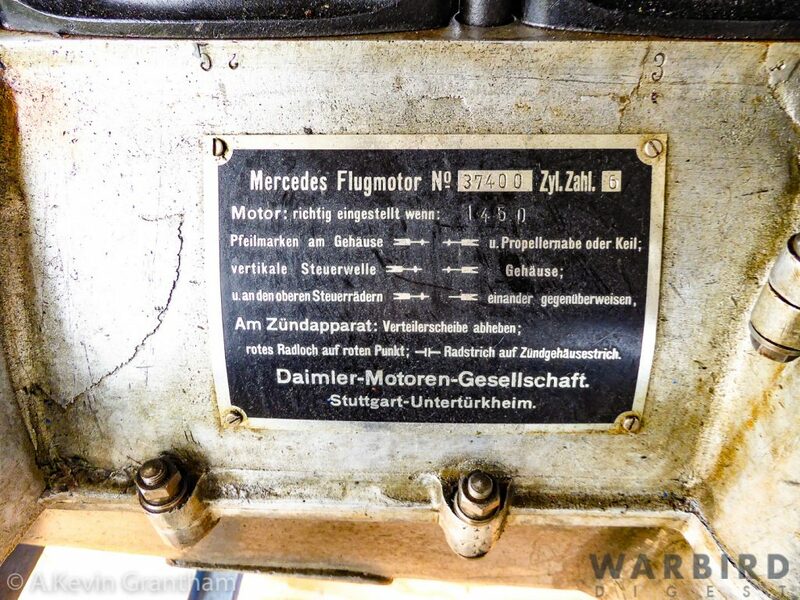 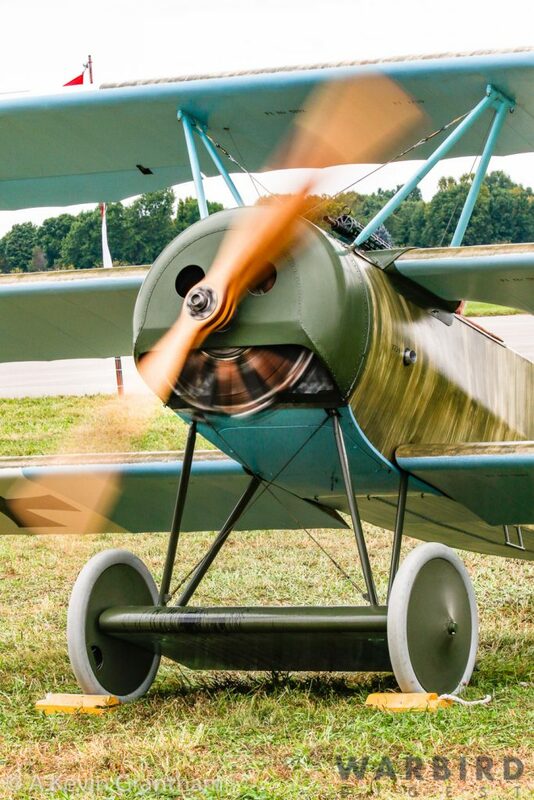 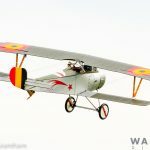 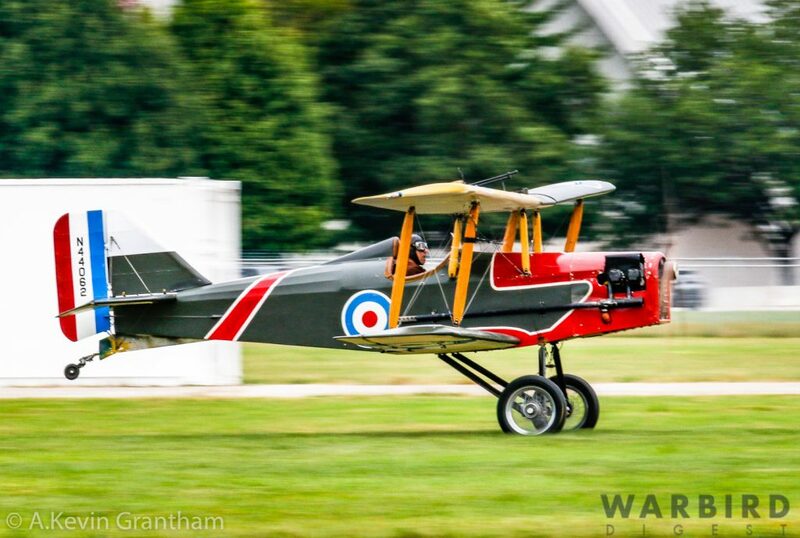 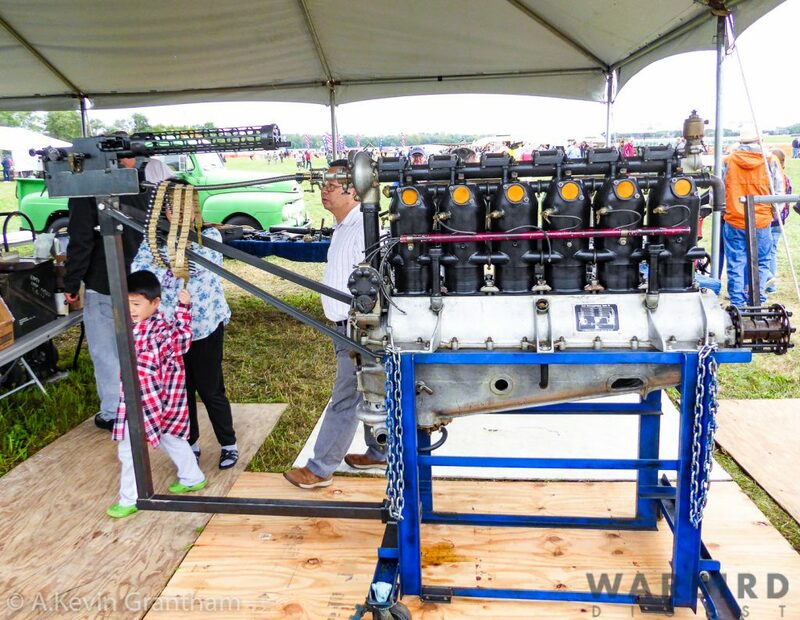 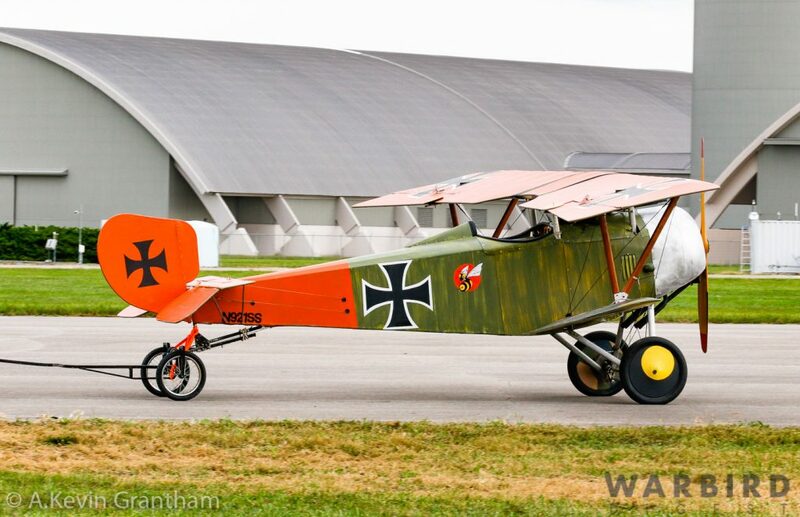 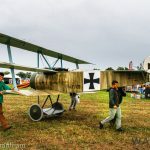 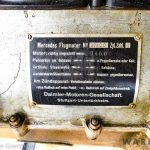 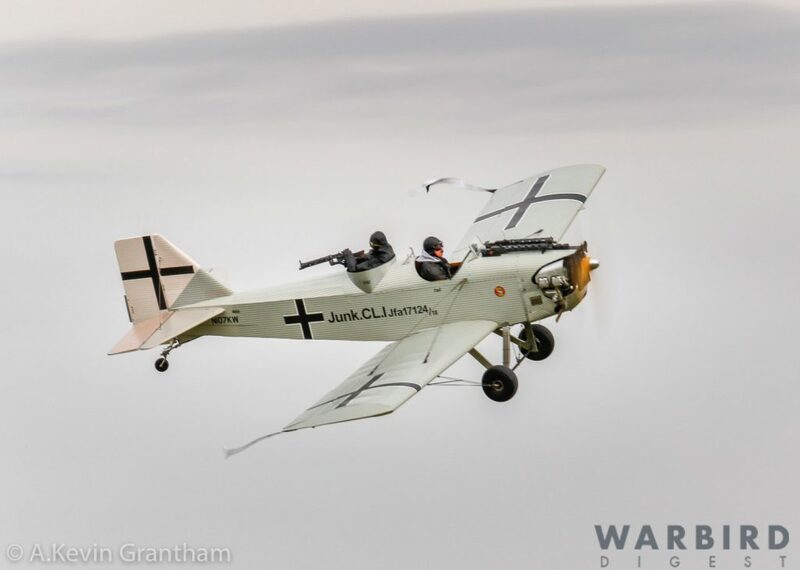 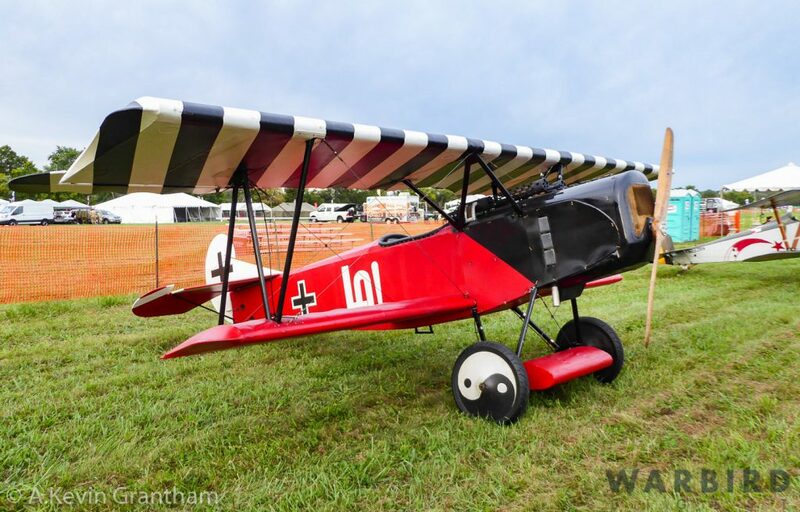 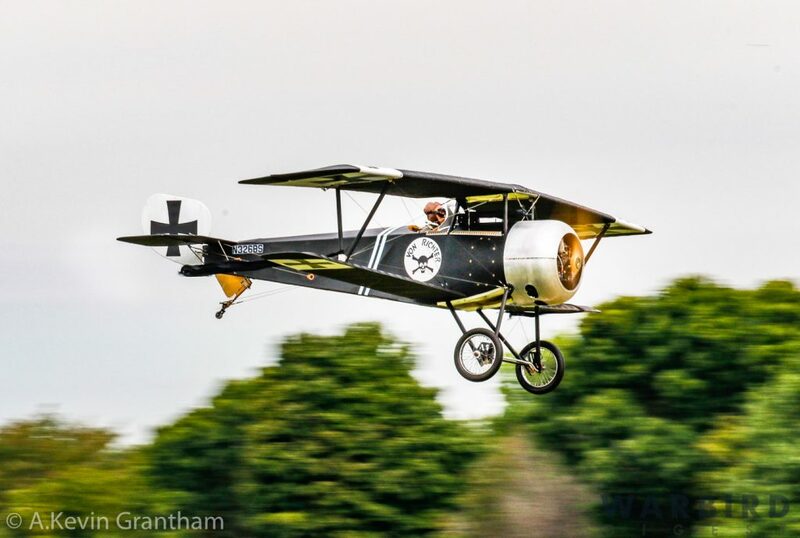 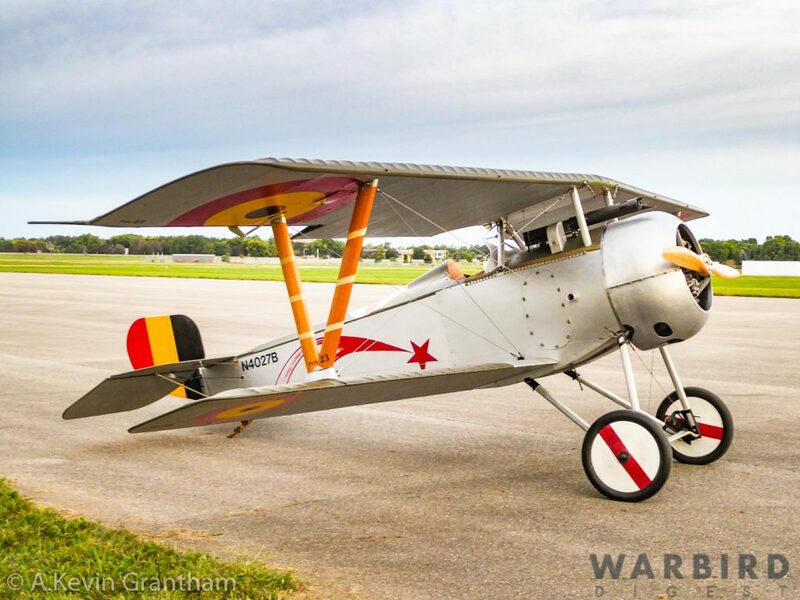 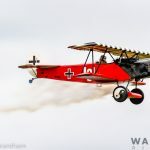 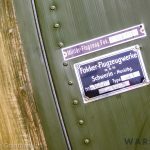 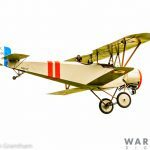 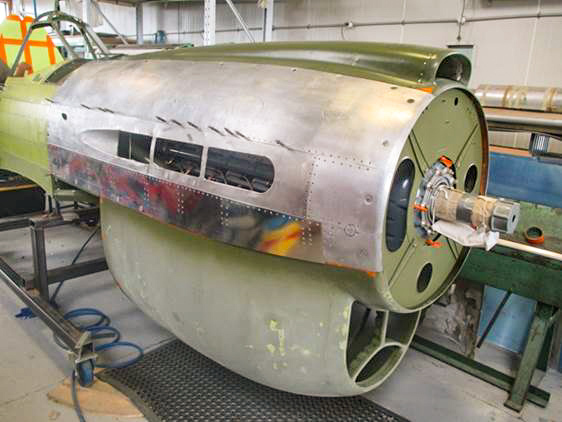 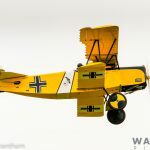 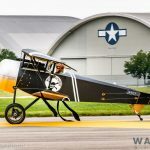 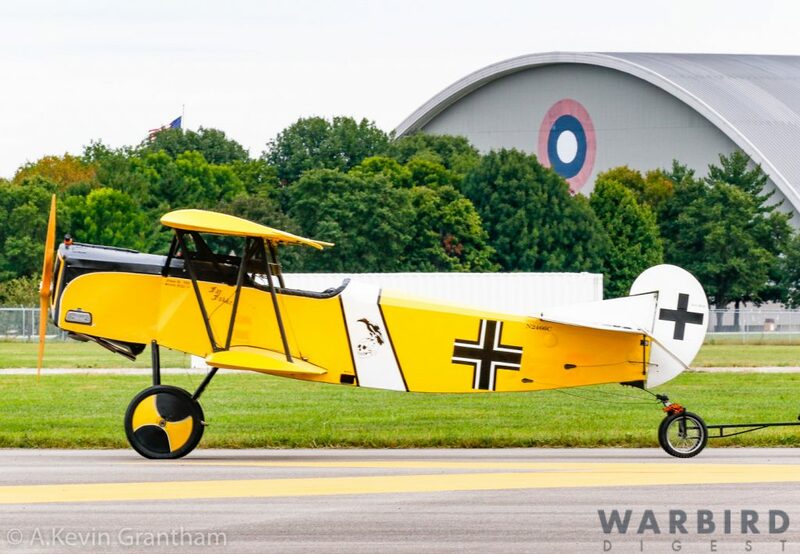 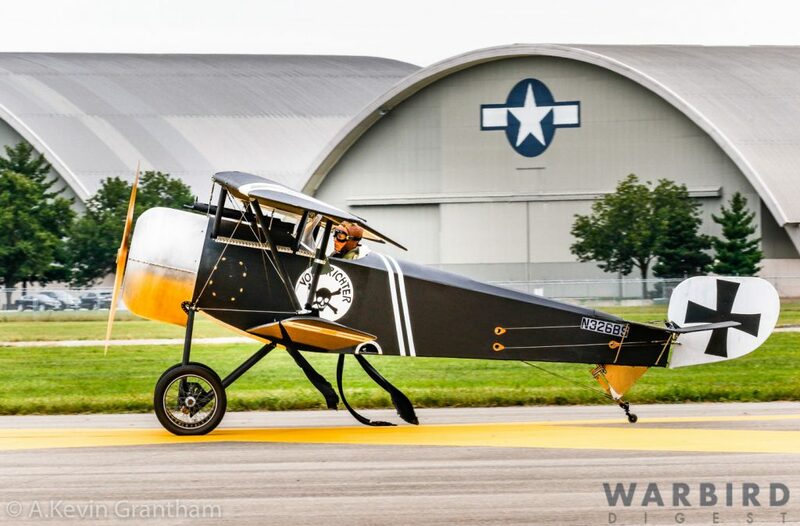 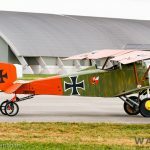 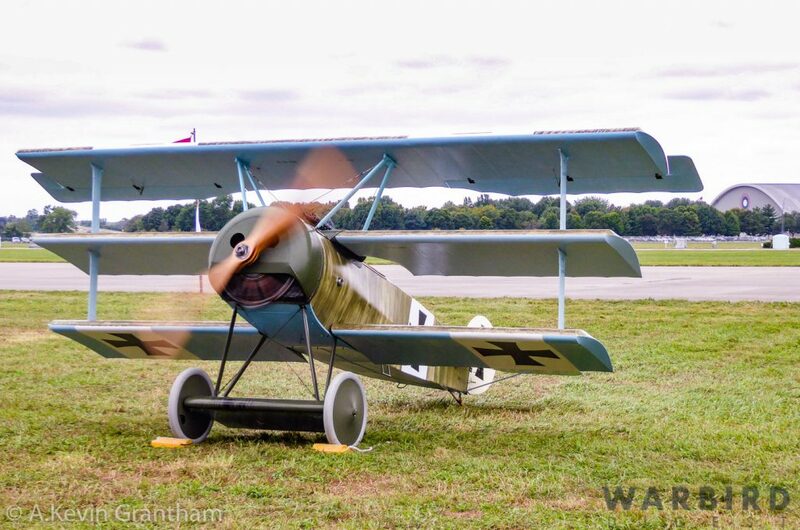 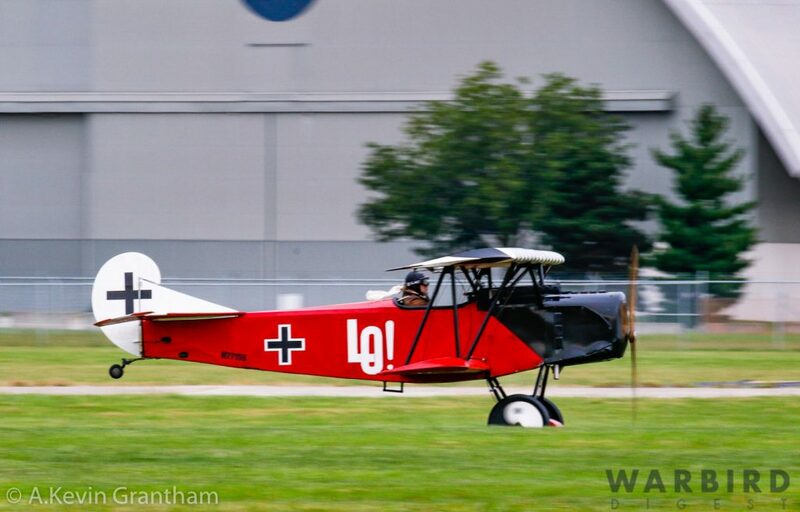 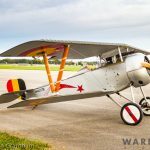 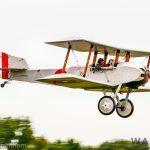 Most of the participating aircraft were scaled down replicas powered by a modified Volkswagen auto engine, a far more reliable powerplant than period engines of WWI. 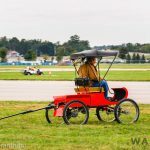 Despite their reduced size, these replicas ably demonstrated the strengths and weaknesses of each type they represented. 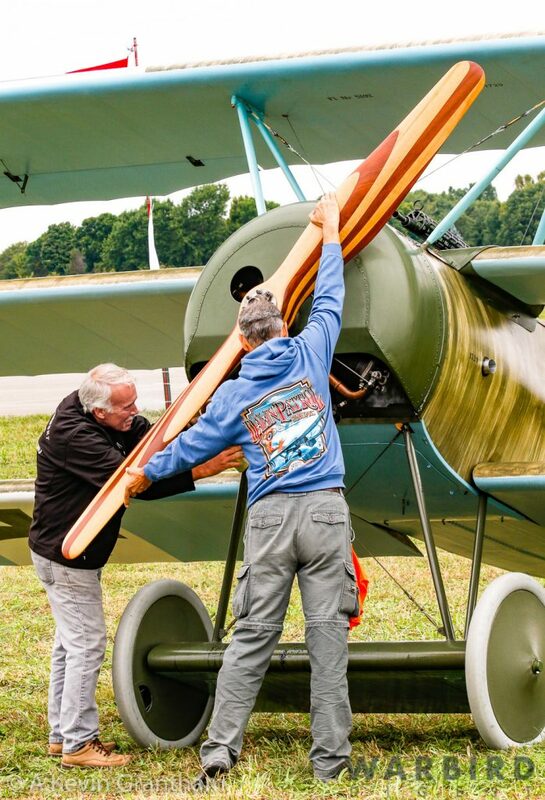 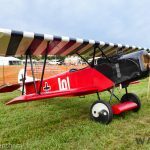 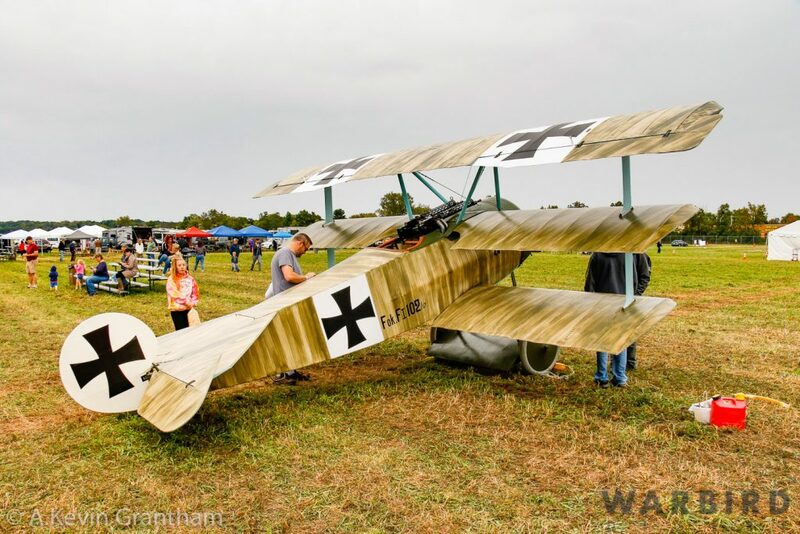 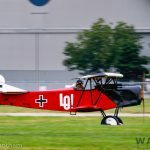 Fred Murrin also brought his full-size replica Fokker Dr.I triplane to Dayton. 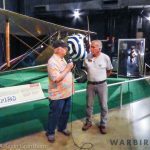 Mr. Murrin is one of the driving forces behind all of the Dawn Patrol Rendezvous gatherings dating back to 1996. 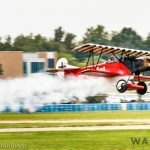 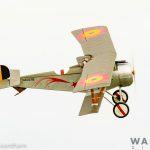 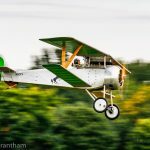 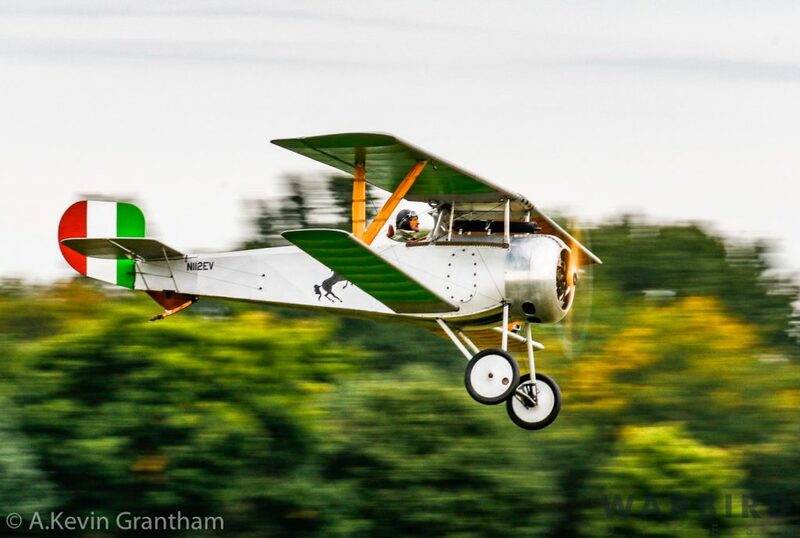 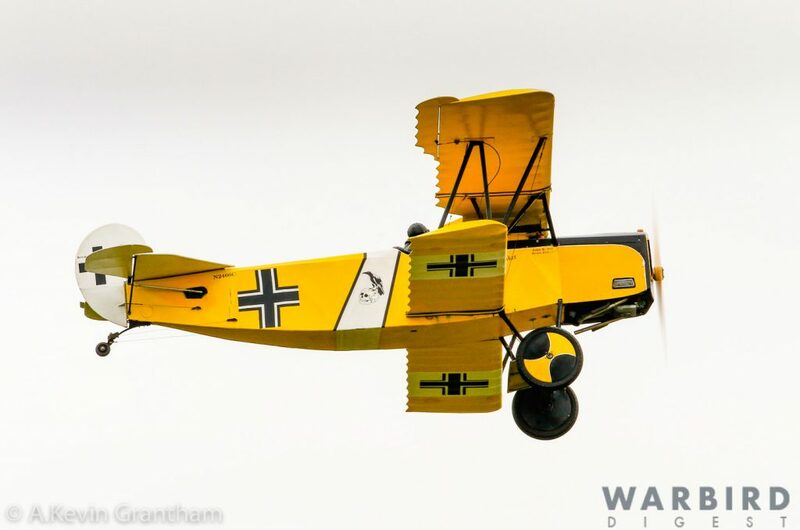 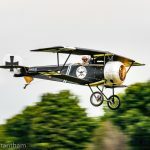 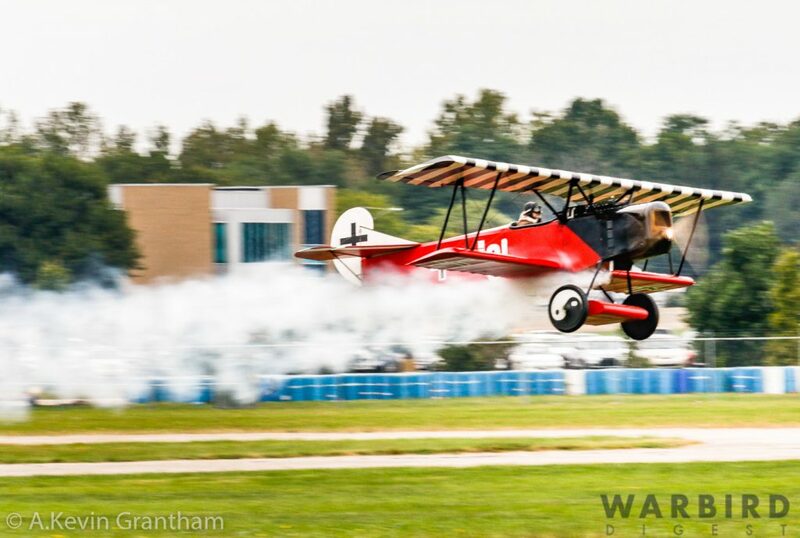 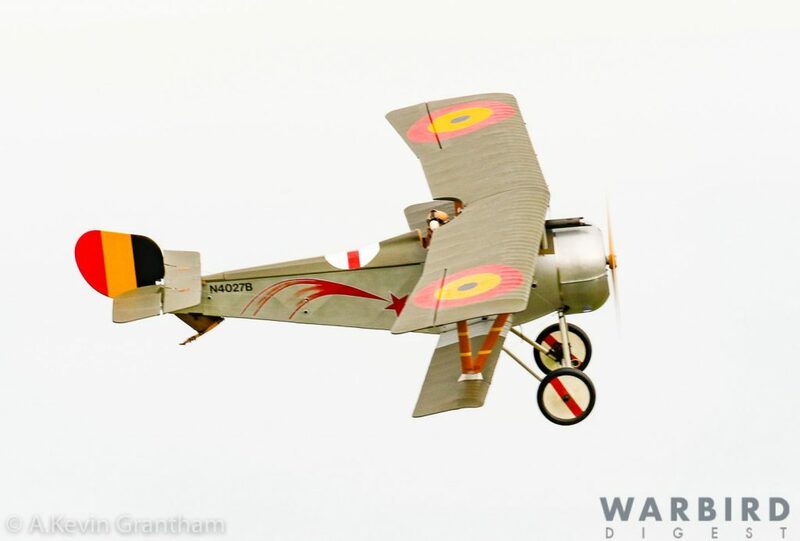 Murrin built his triplane from plans he acquired during the 1970s. 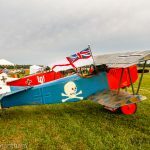 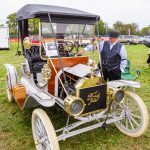 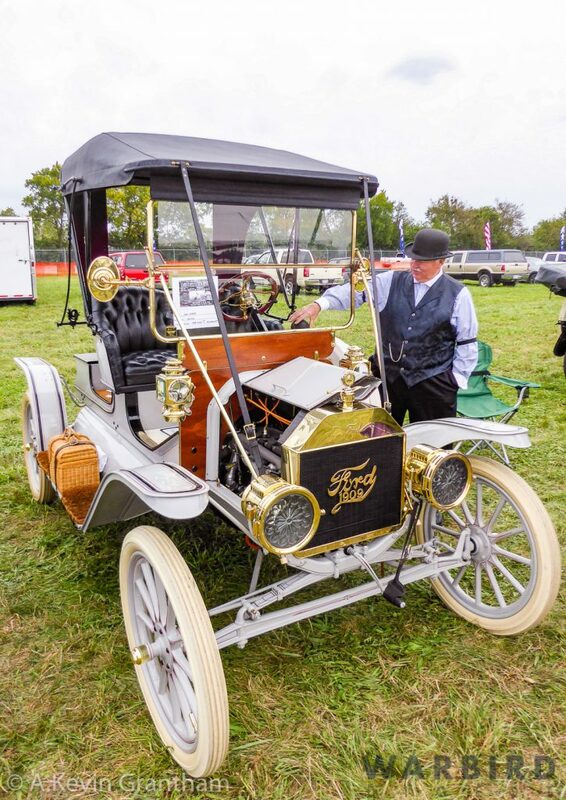 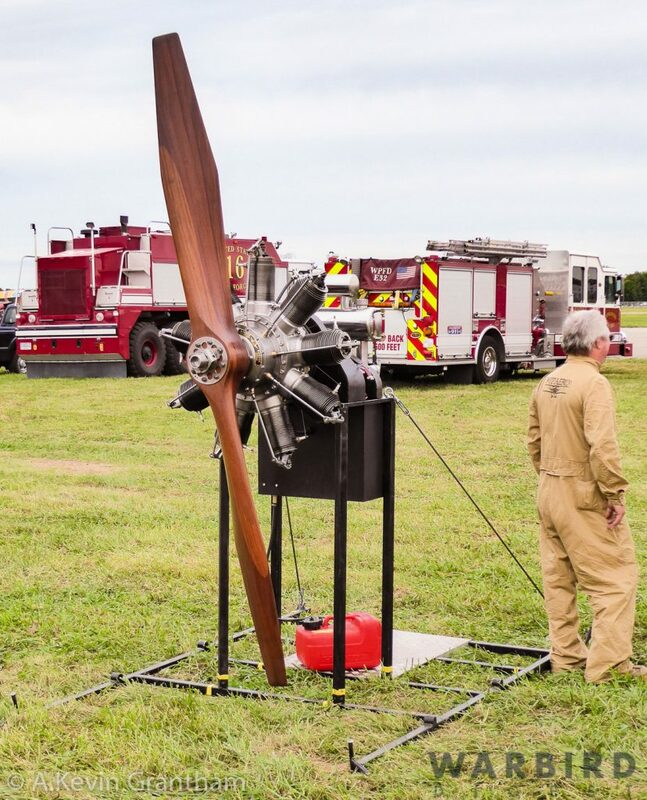 Since that time, he has modified this replica design to represent the original artifact more authentically, including the addition of an original, WWI-era Le Rhône rotary engine which Mr. Murrin graciously ran for the public during the show. 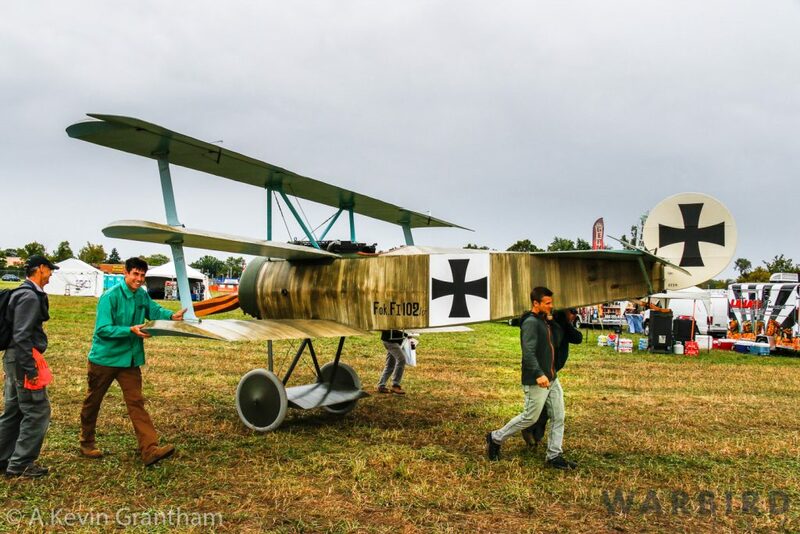 Radio controlled aircraft took over the airspace in between the main flying events. 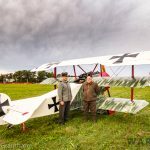 Over a hundred, beautifully-scaled flying models adorned the occasion. 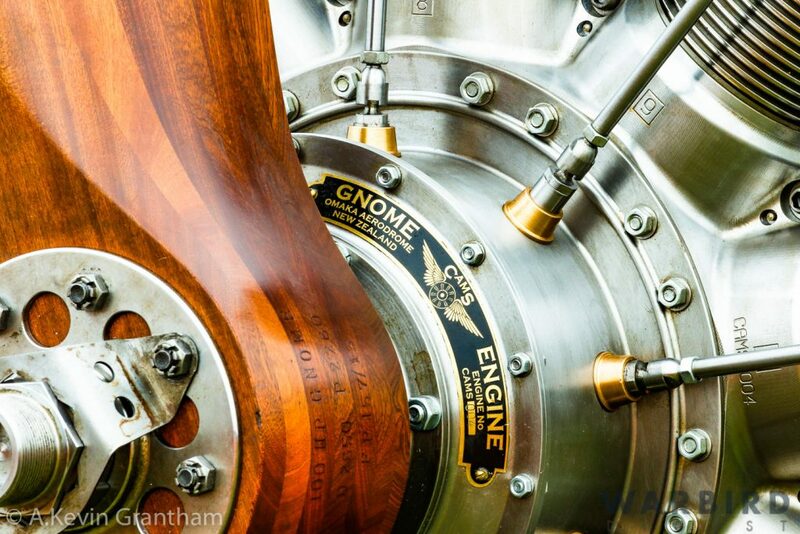 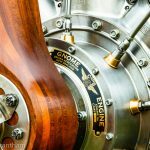 Your author was in awe of the skill and craftsmanship that went into building these highly detailed machines. 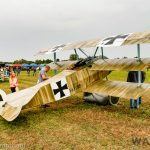 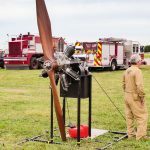 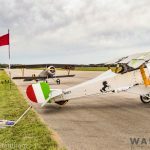 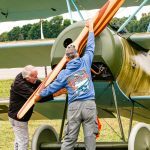 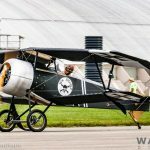 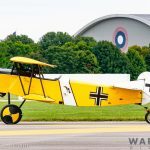 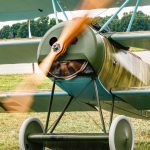 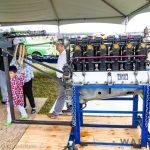 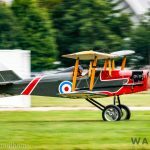 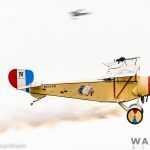 In addition to the non-stop flying, there were also educational displays of WWI-period engines, machine guns, and vintage cars. 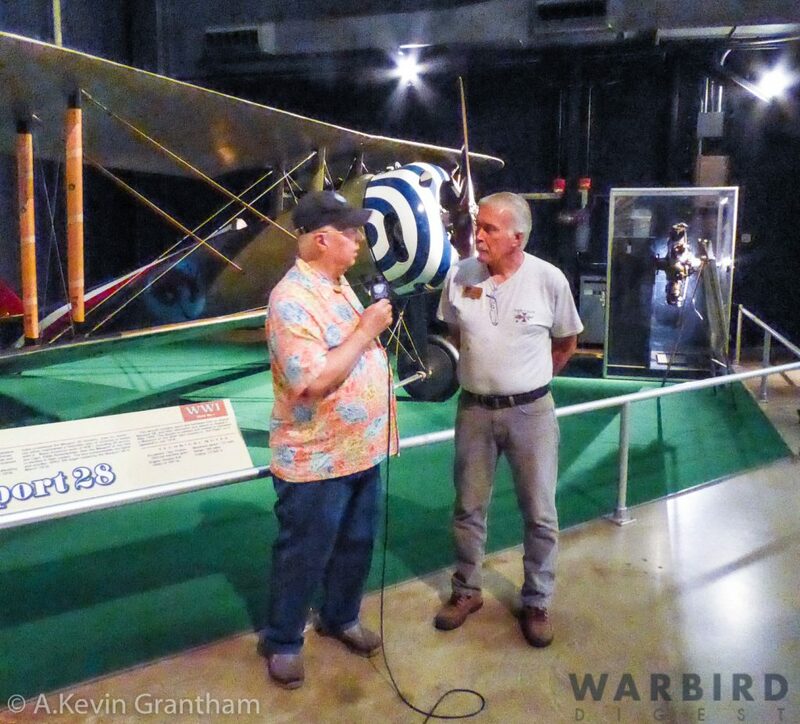 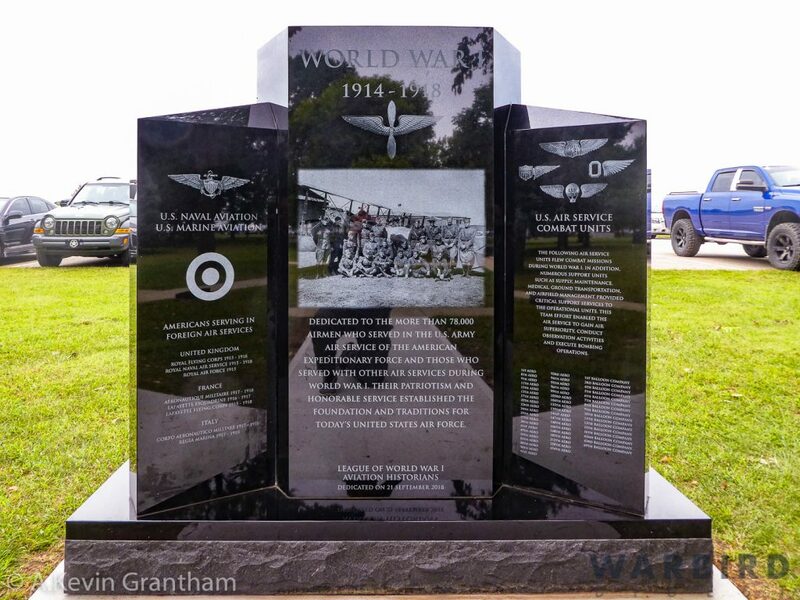 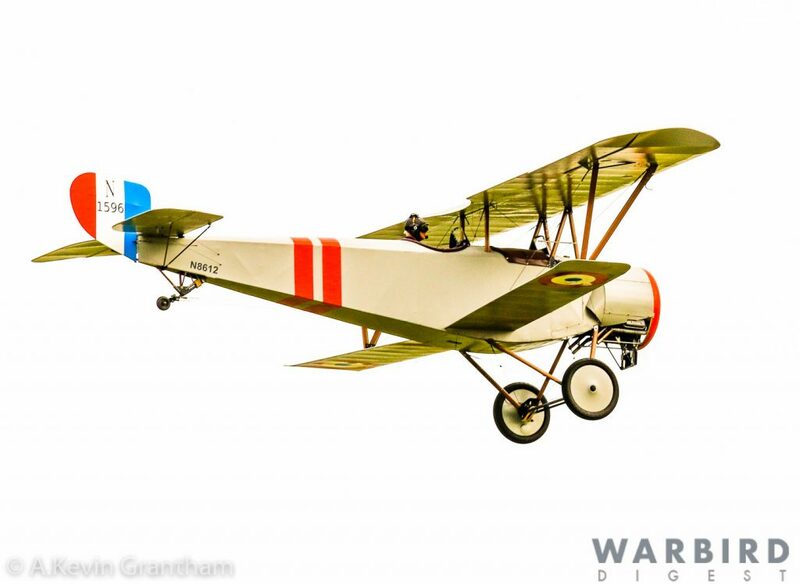 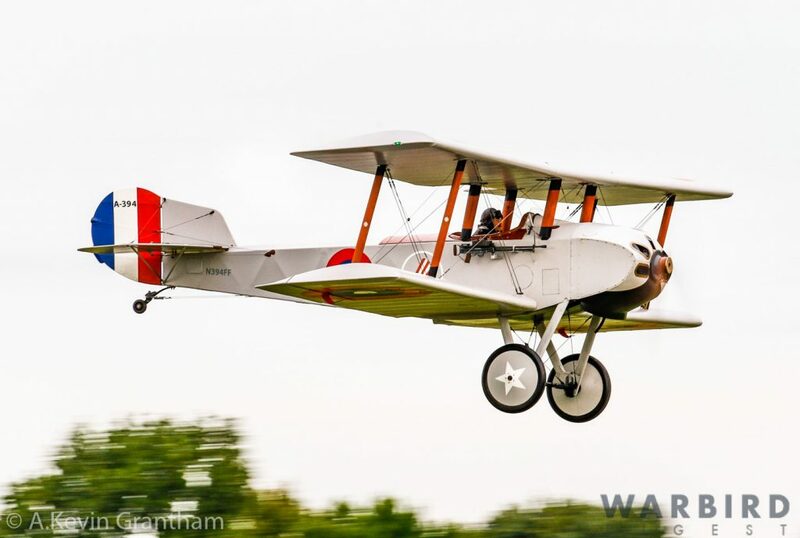 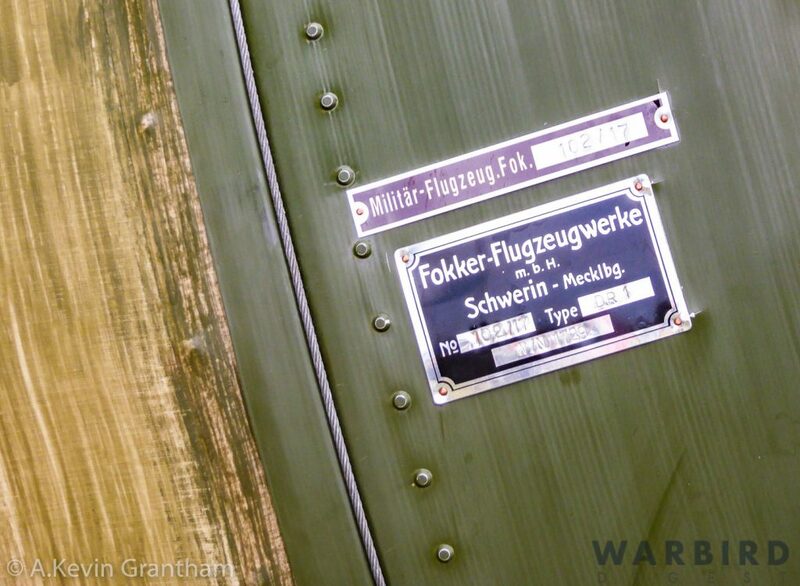 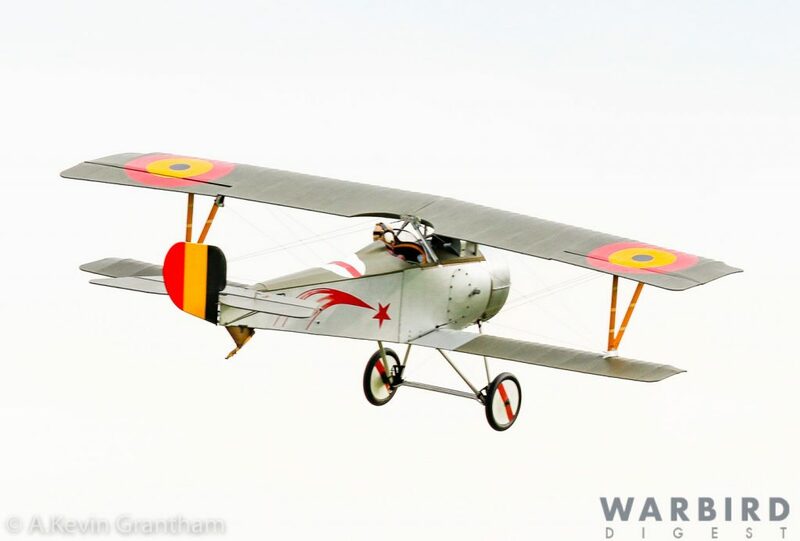 The LWWIAH also held hourly lectures encompassing almost every aspect of WWI aviation. 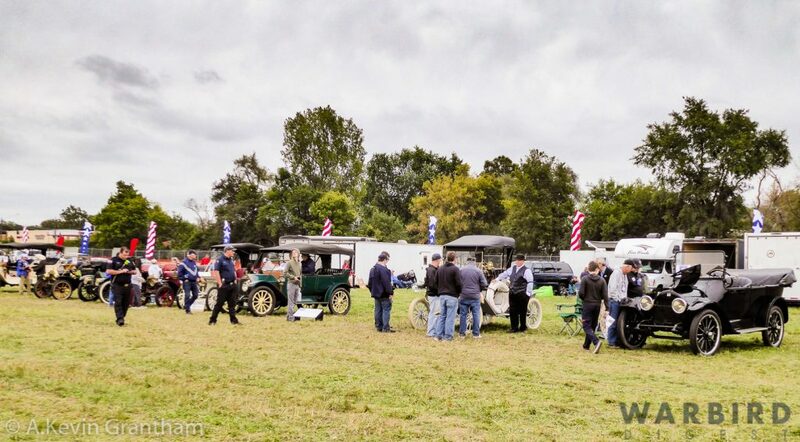 There were so many activities on site that one could hardly wish for more. 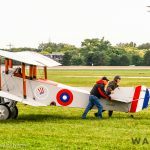 All in all, the Dawn Patrol Rendezvous was a fantastic experience that accurately represented a time when many thought the world was truly coming apart. 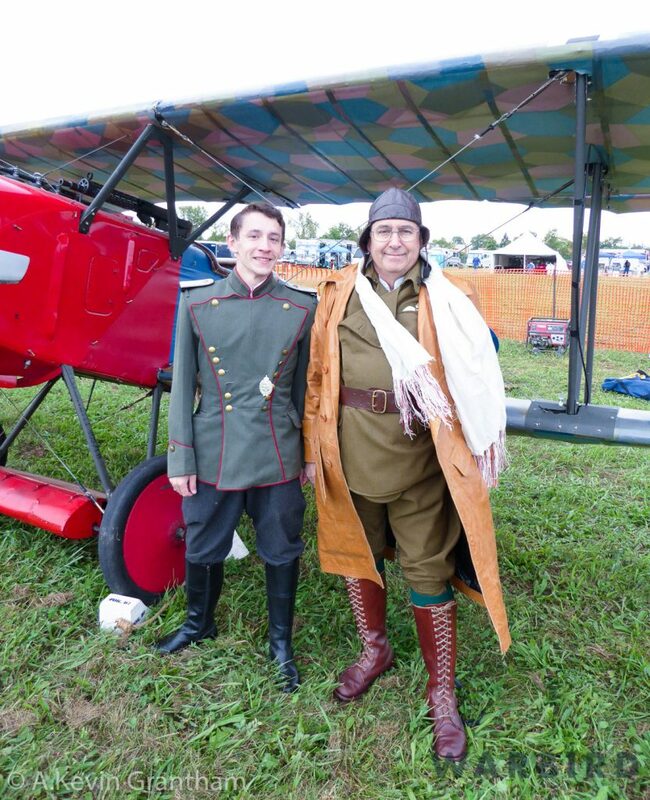 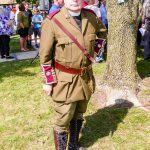 Hopefully, events like this will help educate forthcoming generations to have a higher respect for their history so that tragedies like WWI will not take place in the future. 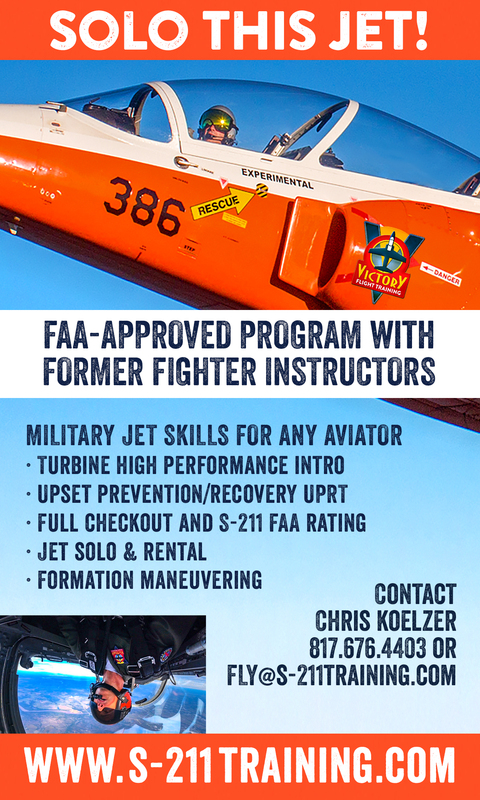 Note: The author would like to extend a big thank you to Rob Bardua and all of the NMUSAF Public Relations staff for making this article possible. 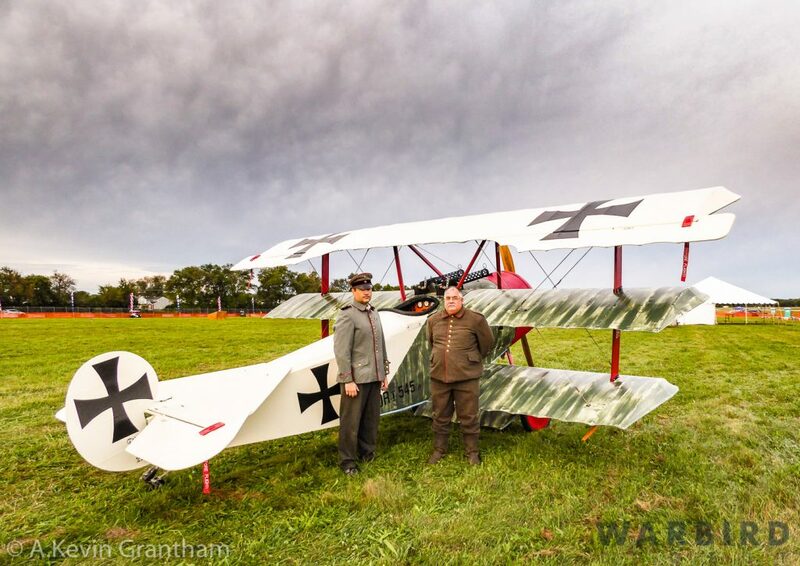 Many thanks to A.Kevin Grantham for going to the Dawn Patrol Rendezvous on our behalf. 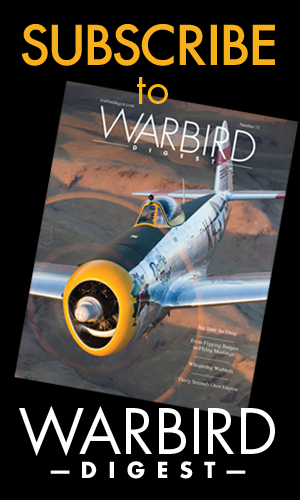 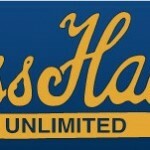 We hope our readers enjoy his story and looking through the variety of images he captured there. 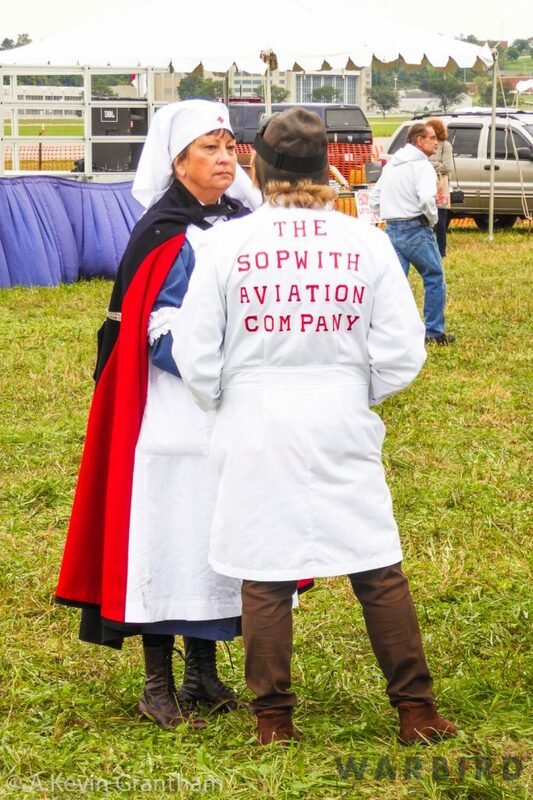 The event seems to have been a great success for all concerned!